I love the picture of love and belonging your post provides. “Then sings my soul” I absolutely love that! The photo actually embodies that completely. You can see your soul singing with those boys! When you describe the relationship your stepson has with his stepson, it’s beautiful. We need more role models for blended families across the generations like this! Excellent slice! One of the things I admire and appreciate the most about my steps is the relationships they have with each of their “mommas.” They are incredibly close to their mom — of course — but they also have deep and unique relationships with both my husband’s 2nd wife and with me. As a stepchild myself I can feel the genuine love and appreciation you have for the relationships with stepson and the grands. I count them among my greatest blessings. The joy of seeing your children do well in their relationships is such a pleasure. Agreed! And seeing them as parents is the absolute best. Wow, poetic and beautiful. A testament to grandparenting and parenting, it’s all about “breathing in the same air.” Love it! The kids (both generations!) are my heart. It’s always interesting how love and respect literally transcend any and all labels! There is a special love between all parents and grands – it does not require a blood relationship . . . only love! …and how blessed we are by that love! What a beautiful piece. Love the photo of you and the grands. 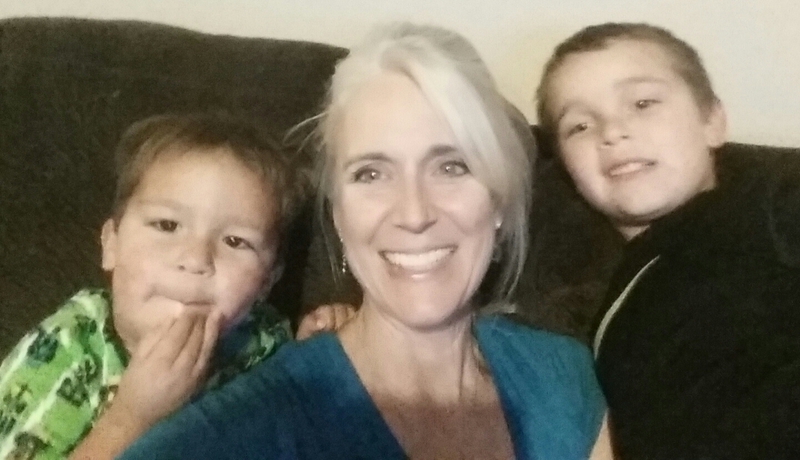 As a step-parent, I know the fine line we walk – but what a blessing are those grandbabies.